Take a look at a selection of our recent projects below to see some of the recent ways we helped local homeowners with garage door related issues. 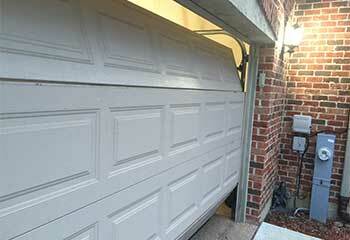 Customer Issue: The customer’s garage door refused to close after opening during routine operation. 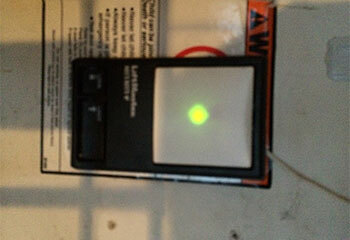 Our Solution: First things first, our team checked the sensors, and found the problem immediately. 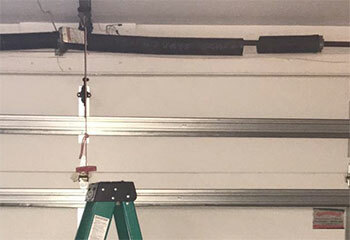 One of them had been nudged out of place somehow, and after loosening them for realignment and reattaching them in place our technicians found the garage door perfectly functionable. Our Solution: The bending was quite significant, and it was making it hard for the panels to move along them. We replaced the tracks and then lubricated the rollers to ensure the door's movement was as smooth as possible. Customer Issue: Door wouldn't stop reversing. Our Solution: Being quite familiar with such a scenario, to say the least, the first thing we checked was the opener's safety sensors. True enough, they'd become misaligned. We quickly realigned them and then, after making sure the door could finally close, tested it to ensure that it would still reverse when it needed to. Our Solution: We were extra careful while removing the old spring, knowing full well how dangerous these components can be. We were just as careful, if not more, as we installed the new unit. After adjusting its tension to the right level, we opened and closed the door a few times to make sure it was fully functional again. 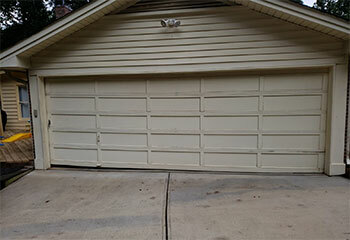 Our professionals are ready to fix any problems you have. We use top quality brands on each project. Our technicians will be there right when you need them the most! You can rely on us to provide you with quality service at affordable prices.